Guess who we gave us the opportunity to welcome them at our doorstep! 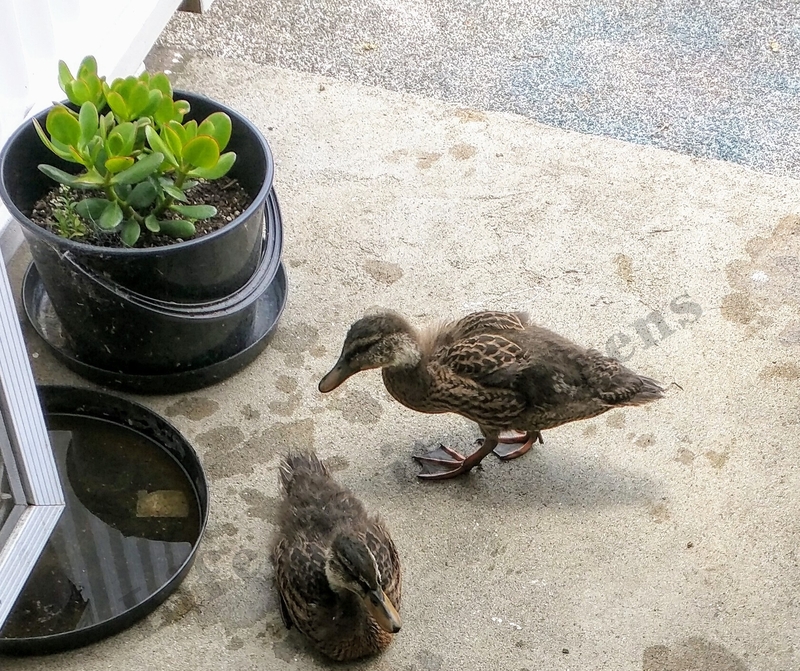 These ducklings along-with their mother duck have been quite regular for couple of months now. In a way we have witnessed them growing during all this time. I remember posting here other day when they looked newborns. And now they take liberty to jump into the small water ponds created from watering the plants and make really funny noises. For some reason, Sunshine despise them and tries to keep them away, partially due to their dirty habit of pooing anywhere around the house.